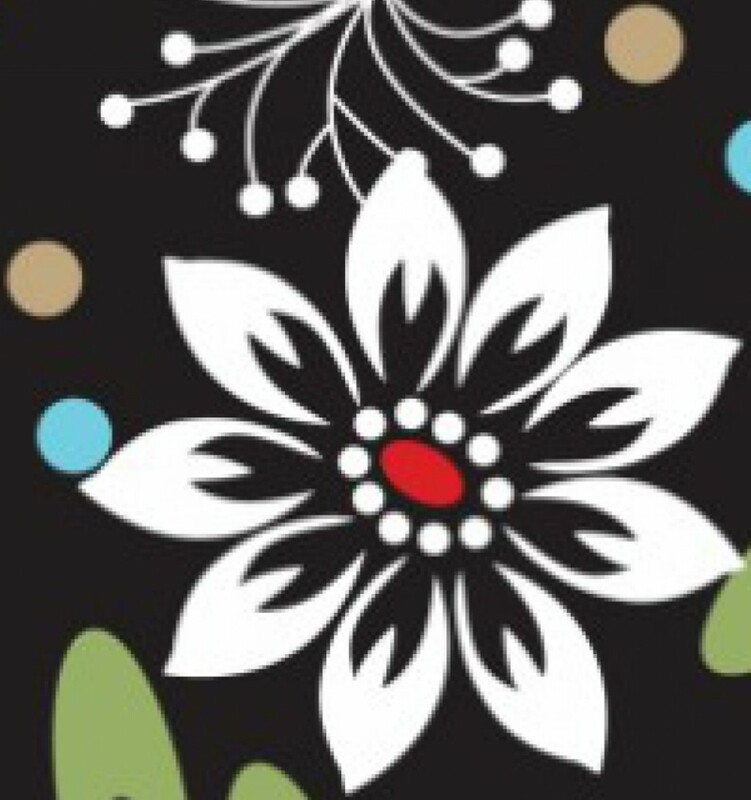 Looking for an easy, fun project on a Sunday afternoon to do while you watch football? I know I am! It has been a rough few days and I am hoping to relax on this lovely sunday and enjoy week one of the NFL games and cheer on our fantasy football team. I have been on a small blogging hiatus, battling a nasty fall cold and continuing to go on with life as usual, work full-time, and as always, be a wife, and a mommy to a 2 year-old with an un-ending supply of energy. It was my toddler apprentice who gave me the idea for today’s project. My daughter was with me in our craft room the other day exploring as usual. She found some great scrap fabric to play with. 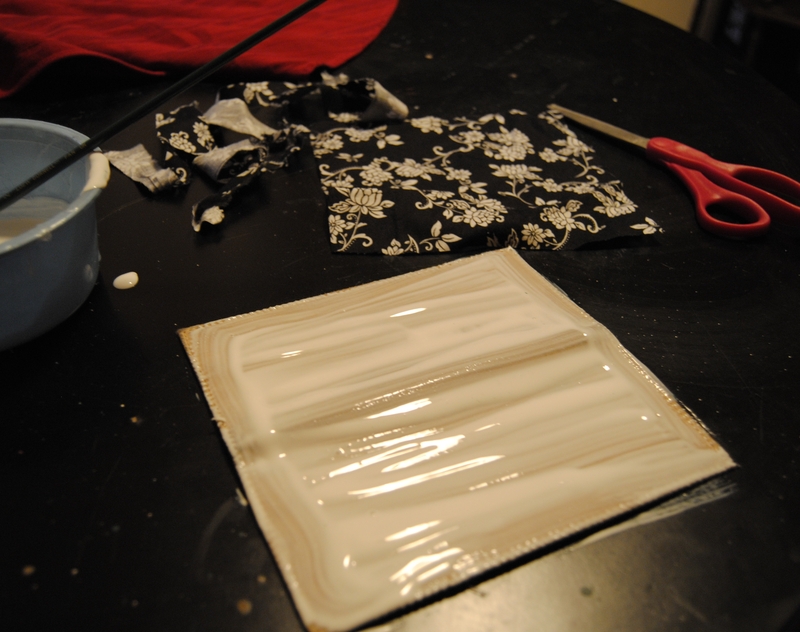 It made me think about ways I might be able to utilize these smaller fabric pieces, and then it hit me! I had a tan checkbook cover that was in need of a revival. 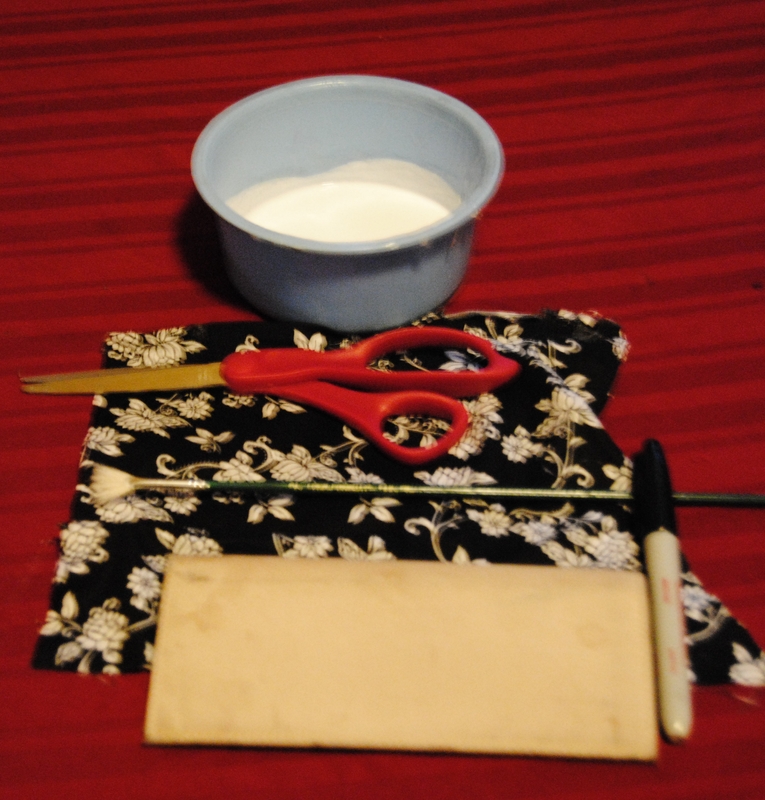 First, I opened the check book cover, laid it out flat and traced it onto the fabric with the black marker. I cut the tracing, with a pair of scissors and placed aside. 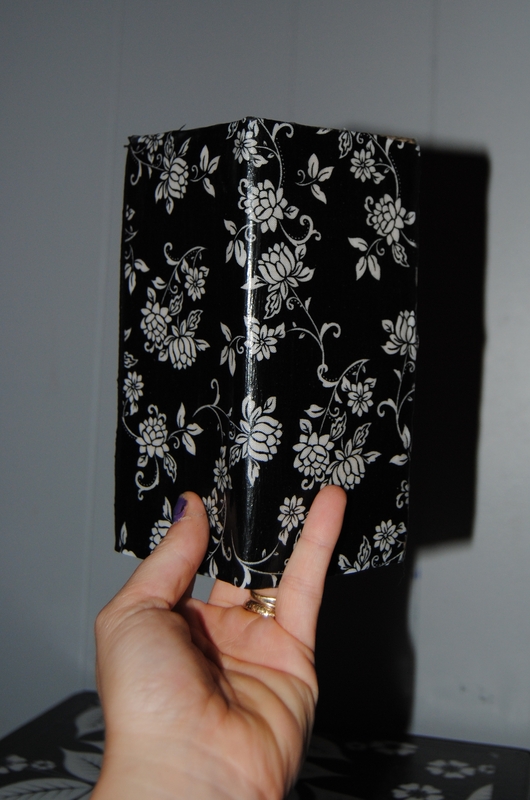 I applied Mod Podge to the outside of the check book cover, generously with a paint brush. 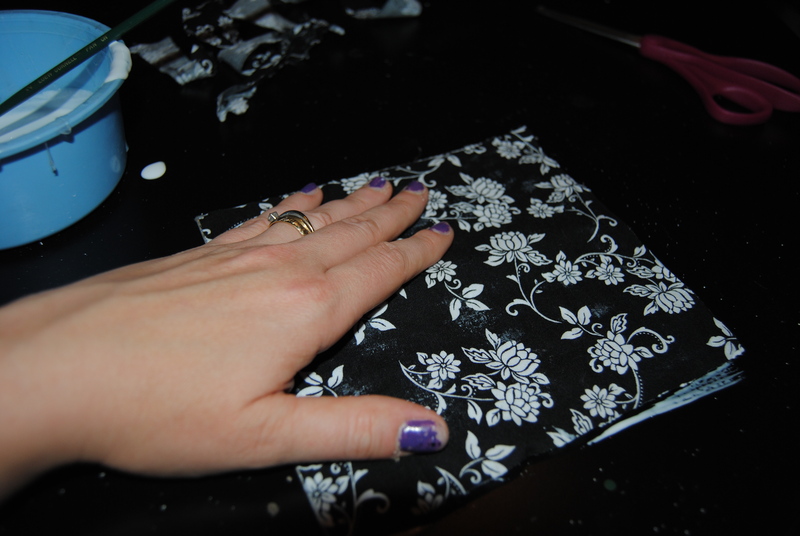 I carefully applied the fabric to the checkbook smoothing it out with my hands. 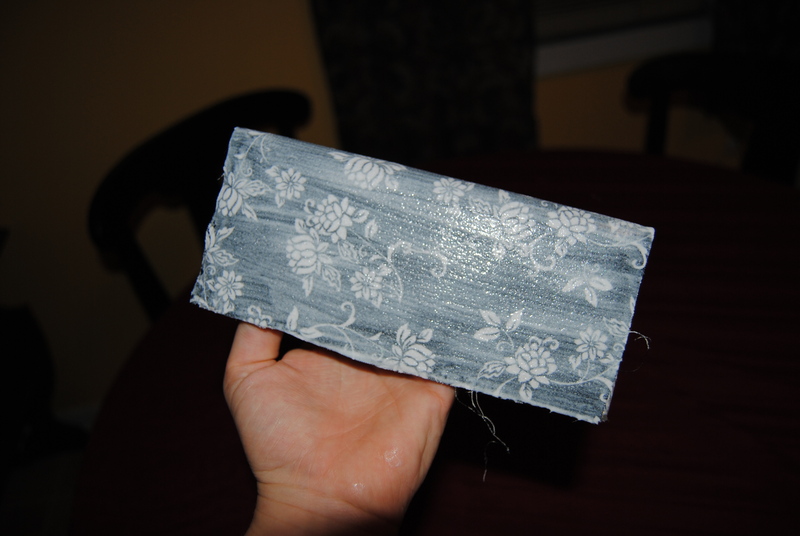 I applied Mod Podge over the fabric and placed the checkbook in front of a fan to dry. What a great way to use fabric scraps and add a little life to your checkbook! Love ❤ that! My checkbook cover has seen better days. Watch out. Check THAT!